Spring is here, which means the start of the Star and Sun Parties with the Salt Lake Astronomical Society! This is one of our favorite things about winter coming to an end, and we are so grateful to them for putting these fun and educational events together! 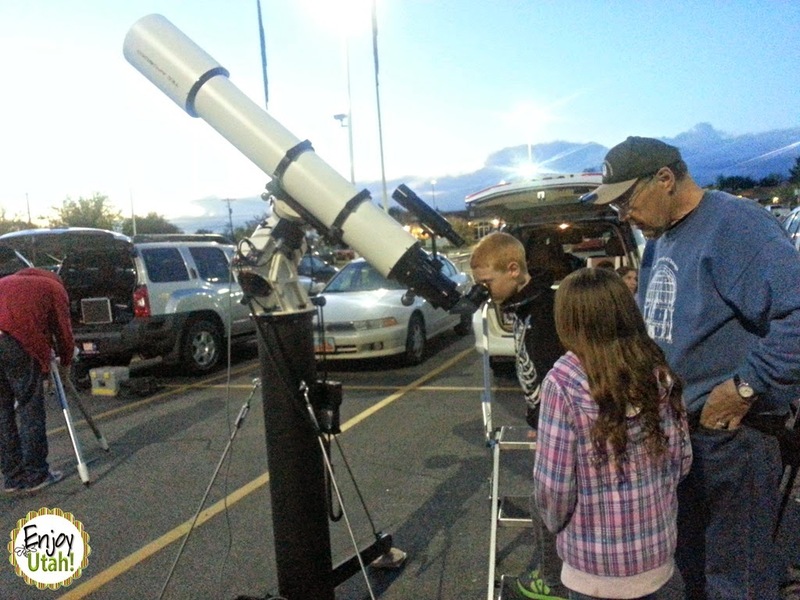 Read our review of the Salt Lake Astronomical Society's Star Parties. There is no registration required; simply mark the date and location on your calendar, dress according to the current weather forecast, and bring yourselves and your families. It's as simple as that! Star parties are informal events (it is a party!). Please feel free to approach any telescope operator and ask what they are observing. Join in on the fun and introduce yourself to others. Taking a picture of what you see in a telescope with your cell phone is just about impossible. Also, the device may damage expensive eyepieces if it touches or scrapes the surface. Along with the bright lights phones produce, it is a good idea to keep the mobile devices stowed away. Families are encouraged to attend. You can view the complete 2016 schedule on the Salt Lake Astronomical Society's website. As always, stay tuned to the Salt Lake Astronomical Society's Facebook page and website for up to the date, current information. Dates and locations may change without my knowledge.